LAKE BUENA VISTA — Exciting new enhancements are heading to Epcot, including a play pavilion, reimagined entrance and an Experience Center that showcases the park’s future. Main Entrance: The newly enhanced main entrance will pay homage to the original park entrance but with new pathways, sweeping green spaces and a reimagined fountain. Leave A Legacy photos will move just outside the park’s gateway, while additional redevelopment will begin between Spaceship Earth and World Showcase Promenade. More details to come. Experience Center: Doors will open later this year on a new Experience Center in the Odyssey Events Pavilion. Guests will enjoy interactive exhibits that showcase the innovation that’s driving the future of the park throughout this period of transformation. 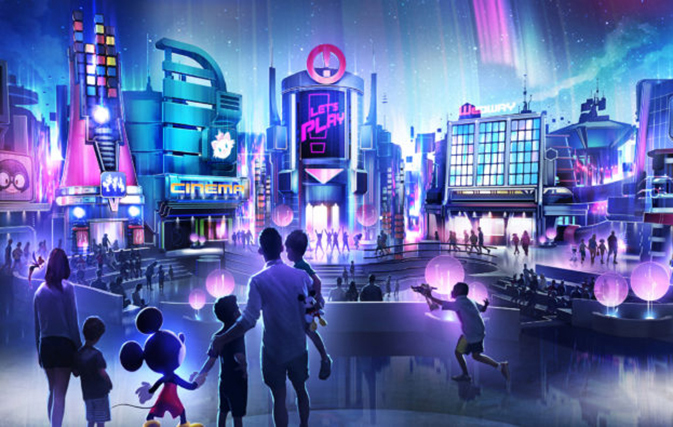 These new announcements join other projects already underway as part of the Epcot evolution, including: a new Guardians of the Galaxy-themed attraction; Remy’s Ratatouille Adventure attraction in the France pavilion; a ‘Beauty and the Beast’ singalong, also in the France pavilion; a Circle-Vision 360 film for the China pavilion; an updated O Canada! 360-degree show; a space-themed table-service restaurant adjacent to Mission: SPACE; and Epcot Forever, a 2019 limited-time nighttime experience over World Showcase Lagoon.